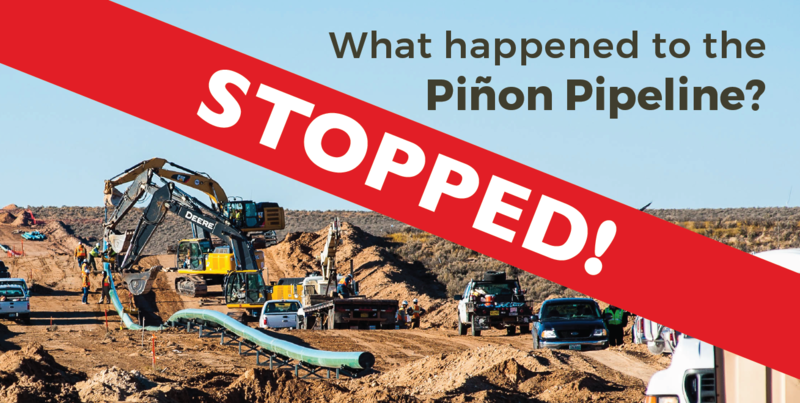 The Piñon Pipeline is dead! How did it happen? Chaco just got a huge break. 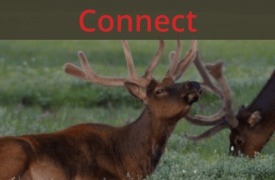 Friday afternoon, Saddle Butte San Juan Midstream LLC (“Saddle Butte”) withdrew their proposal for the Piñon Gathering System Project, better know as the Piñon Pipeline, in northwest New Mexico. The 150-mile pipeline would have carried 50,000 barrels per day of crude oil from the Chaco region south for export. 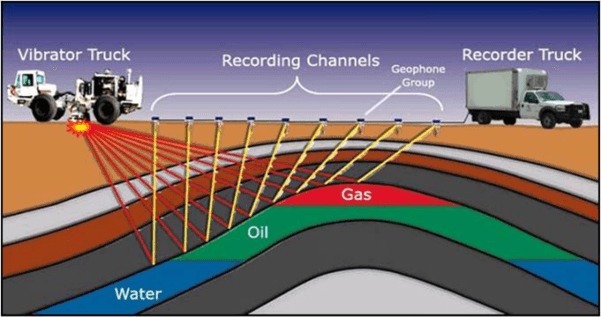 Construction of the pipeline would have threatened unique geologic wonders, important ecosystems, living human communities, and sacred cultural sites. In 2014, Saddle Butte applied for a “right-of-way” from the Bureau of Land Management (BLM) that was necessary for construction. 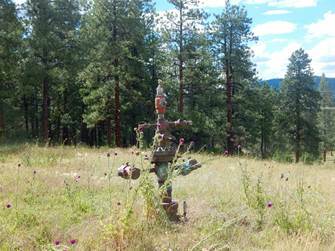 In order to grant the permit, the BLM needed to complete an environmental assessment (EA). The first stage of the EA process yielded over 30,000 public comments in opposition to the pipeline. Local people cited concerns about threats to the environment and public health. 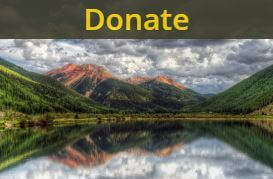 The San Juan Citizens Alliance (SJCA) vocally opposed the Piñon Pipeline. We felt that the EA was insufficient in its analysis for several reasons, but our main concern was that the pipeline was being analyzed alone. The Piñon Pipeline was intended to move oil from new wells in the Mancos Shale – the oil play surrounding Chaco Canyon. The pipeline should have been analyzed in the broader context of this new oil development, and it could have been. 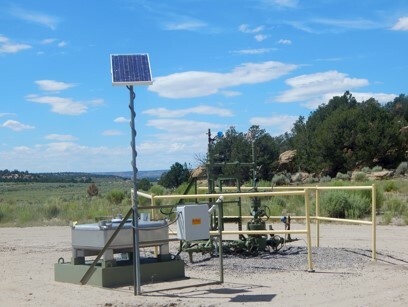 At the same time that the BLM was analyzing the impacts of the Piñon Pipeline, they were starting an amendment to their Resource Management Plan (RMP). The BLM’s RMP amendment will analyze the environmental impacts of, and plan for, all oil and gas development in the Chaco region. The Piñon Pipeline should have been analyzed in the RMP amendment. Instead, the BLM and project proponent put on the blinders to make the project seem smaller and speed up the permit process. We were prepared to fight the pipeline all the way through, but then it disappeared. When oil and gas prices dropped, Saddle Butte put the project on hold. For two years they kept quiet, waiting for the fossil fuel economy to rebound before pursuing the pipeline further. But the company didn’t withdraw their permit, likely hoping to pick up where they left off in the EA process. Then, a few months ago, during the new public comment period for the BLM’s RMP amendment, concerns about the Piñon Pipeline resurfaced. During public comment, people echoed our concerns from a few years back. 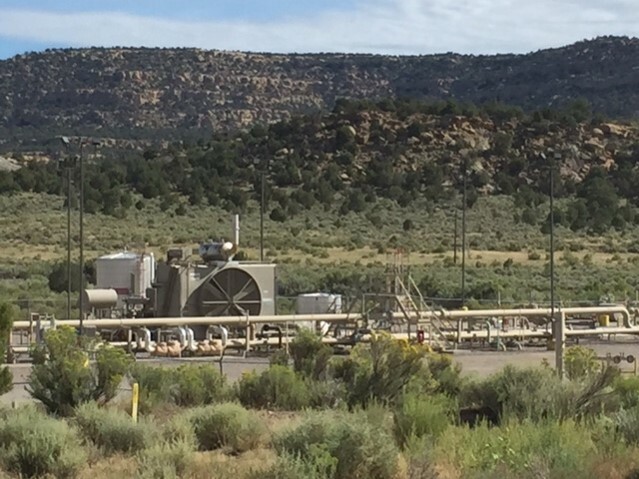 They asked the BLM: Why aren’t we talking about the Piñon Pipeline? How does the pipeline fit into this comprehensive analysis? People started protesting. Standing Rock-esque action was a real threat. Then, the company responded. On Friday, December 16th, Saddle Butte withdrew their permit. They claim the move was due to “current market conditions.” But these market conditions aren’t new. What is new is frustrated and invigorated native communities and their allies organizing effectively against oil and gas companies all over the nation. So thank you to all of you who have, and continue to, stand up to defend our northwest New Mexico communities.